Create the absolute WOW factor in your home. 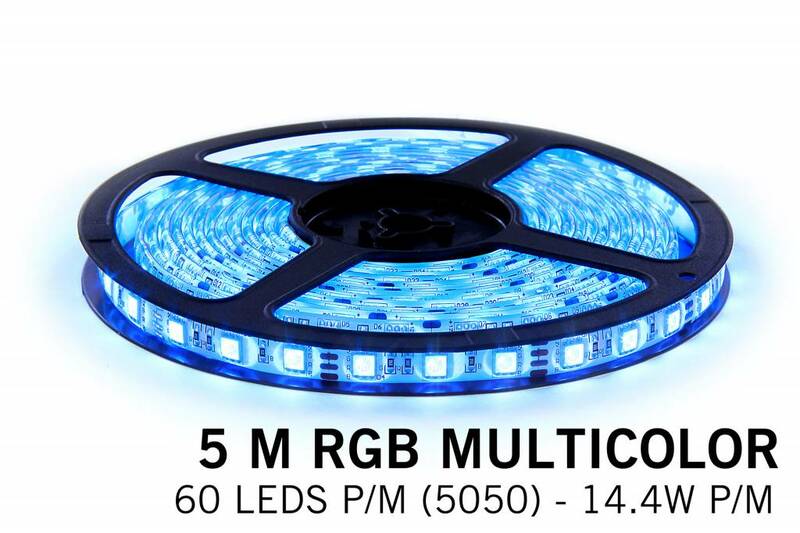 The possibilities are endless with these beautifully bright Full Color LED strips. Think of a colorful illumination of your ceiling, curtains or a decorative accent color in cabinets and showcases. Splash-proof (IP65) so its perfect for the bathroom or kitchen. With high light output of more than 1100 lumens, this energy efficient LED strip only consumes 14 watts per meter. 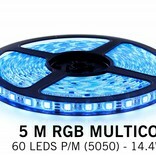 The LED strip with 300 LEDs is 5 meters long and dividable each 5cm.